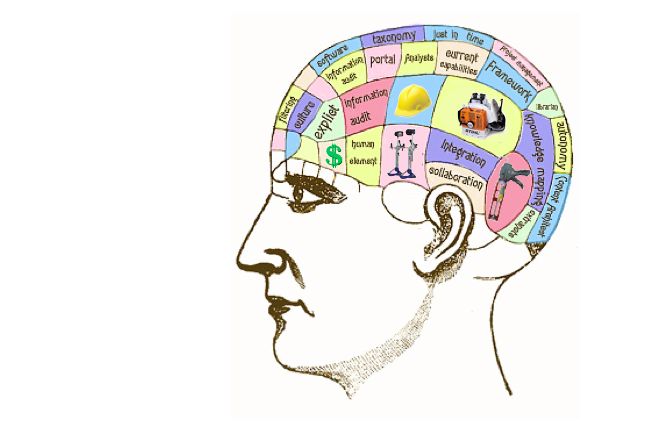 Home › Construction Spanish › The “Knowledge Worker” rant. I despise the term “Knowledge Worker.” Why? Let’s start with the definition of Knowledge Worker and you can judge for yourself. The definition presupposes anyone who performs part of their job in a manual fashion does so without knowledge. The best roofers think for a living… and expertly install ice & water shield. The best drywallers think for a living… and efficiently hang 5/8” drywall. The best landscapers think for a living… and craft retaining walls. Regardless of what percentage of their day is occupied by manual labor, these individuals’ main capital is knowledge too. If you happen to work with individuals who have zero knowledge and their job requires zero thinking… well, that’s a sign you’re building a commodity product. It’ll be a race to the bottom and you’ll be looking for a new job soon. As for the Knowledge Workers identified? Lawyers produce invoices in 6-minute increments. The level of knowledge applied by these Knowledge Workers to improve your circumstances is uncertain. While the distinction behind Peter Drucker’s first use of the term Knowledge Workers in the 1950’s is understood, PD wasn’t referring to a jobsite. As the jobsite becomes increasingly stratified between educated English-speaking managers and far-less-educated Spanish-speaking workers, we need language skills that draw us closer together, not further apart. They are an indication about what we value. Start with the assumption your job is chock-full of Knowledge Workers who perform jobs requiring manual labor. What these Knowledge Workers need is Leadership first, Management second. When problems inevitably arise, ask if anyone has a solution. Let the Knowledge Workers apply what they know. Help them develop a solution of their own. Frequently you’ll find these Knowledge Workers leap into action and solve the problem on the spot. You’ll be surprised how much easier your life gets when you let your Knowledge Workers apply their knowledge on your behalf. Bradley Hartmann is founder and El Presidente at Red Angle (www.redanglespanish.com), a training and consulting firm bridging the English-Spanish language gap in the construction industry. They’ve recently added Polish to their lineup. Thanks, Jim! Just curious – What’s on your summer reading list?